We specialise in both commercial and domestic Strata, Stratum and Company Share properties. We are not involved in renting or selling or property so there is no conflict of interest, therefore we can give your property undivided and unbias attention at all times. Our propetry portfolio ranges from properties of just four units, to high rises up to eighteen floors, and over one hundred apartments. We also manage strip Shopping Malls through to free standing Shopping Centres, and can also offer Body Corporate services for Golf Courses and Holiday Resorts. Our experience in property management has been obtained over a period of many years. In our best effort to give you the ultimate peace of mind, we ensure attention to detail, transparency in our activities, a proven method of management and a large, established and growing list of properties under our management. Management of repairs and maintenance of common property, including fully reported inspections. 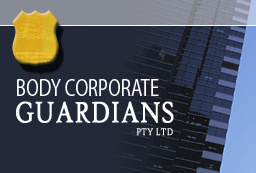 Handle all Body Corporate insurance coverage and any claims. Prepare financial statements for a representative of the Committee. Collection of fees and payment of accounts. Log-in here for quick and easy management communication and information retrieval.